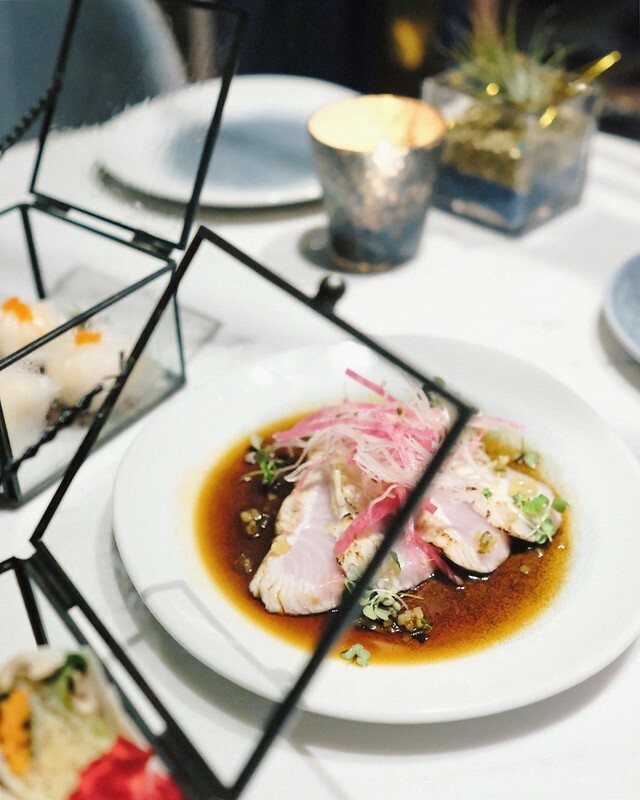 Coal Harbour—(February 13, 2018) Originally launched as HJU:Z Lounge (confusingly pronounced "Hughes"), the newly and more conventionally renamed H Tasting Lounge inside The Westin Bayshore hotel celebrated Chinese New Year with some Year of the Dog appropriate libations. The ornate decor harkening back to a golden Hollywood era evokes the decadent style of iconic billionaire Howard Hughes, who infamously stayed at the Waterfront hotel during his troubling later days, and offers the same (but further refined) internationally influenced food and drink menu as before. The still newish H Tasting Lounge continues to try and define itself through it Hughes theme. The spacious 155-seat lounge situated just alongside the Bayshore's foyer has an open, welcoming vibe focus on its performance stage with a classically stylishly golden bar to the left. 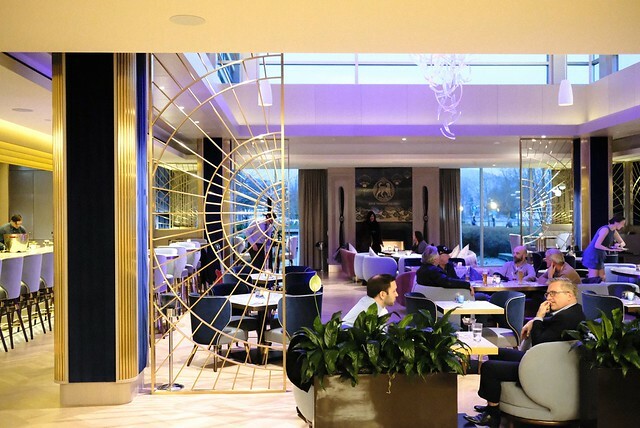 A shiny and sleek McLaren 570 Spider was placed right outside of the lounge's golden gates as a nod to new beginnings. 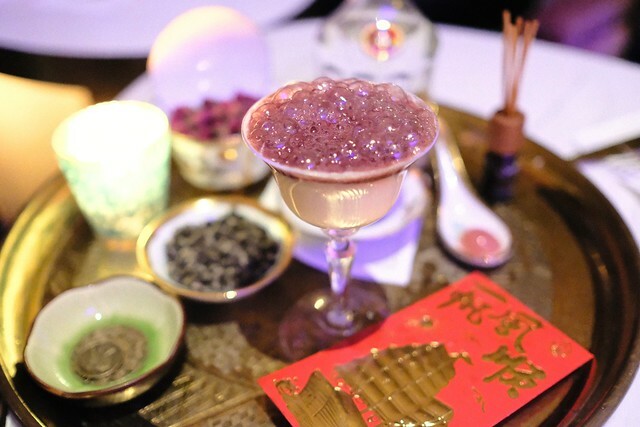 Ahead of Lunar New Year last week, HTL showcased some intriguing Gung Hay Fat Choy cocktails, mixing cultures, with some exotic flavours in this year's lucky colours. 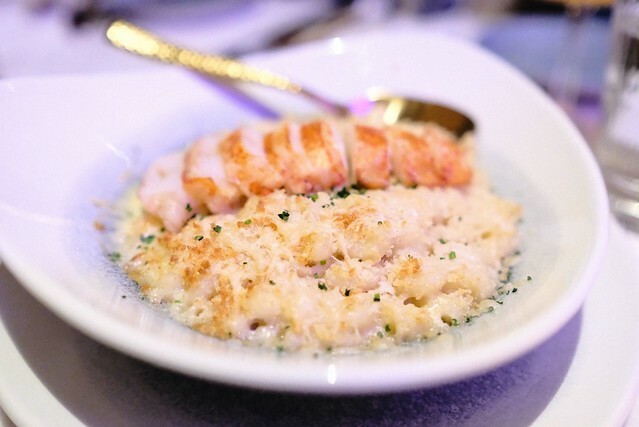 The cuisine feels and tastes fairly light and precise with comforting flavours to complement the carefully concocted drinks well. 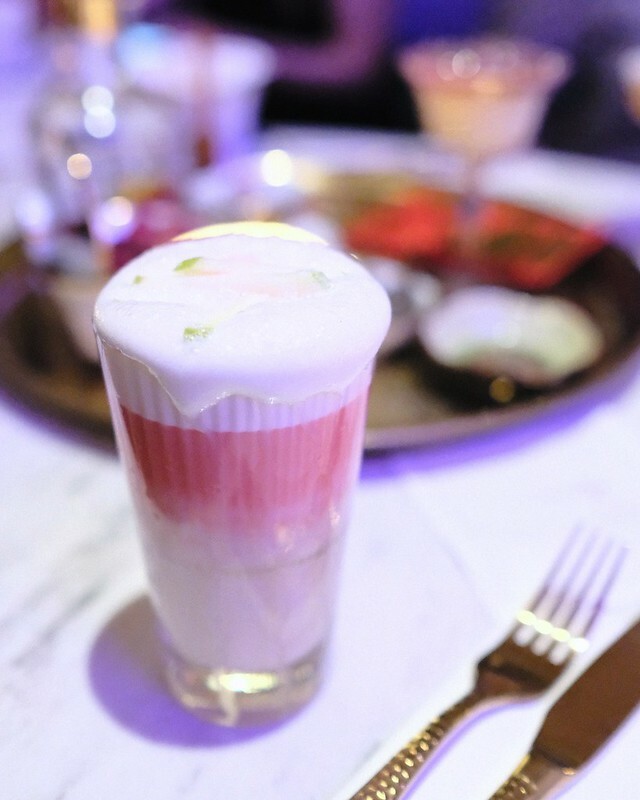 I quite enjoyed the frothy fizz for its refreshing nature downed with some well-plated dim sum and sharing dishes. 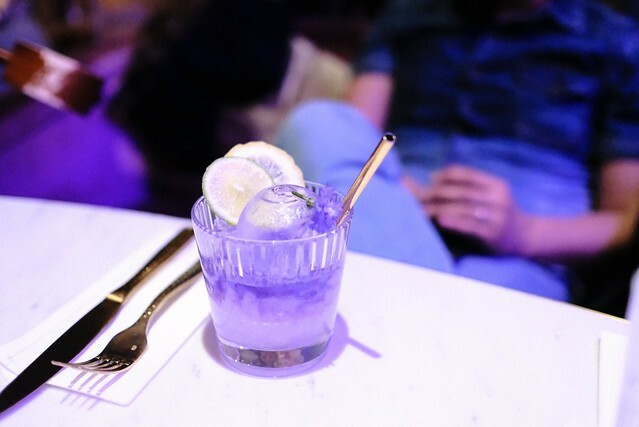 Each specialty cocktail, based on a different global city inspired from destinations from Hughes' legendary 91-hour trip around the world, is a welcome, mostly tasty endeavour. I'm still a fan of HTL's opulent details, casual live music, and dirty thirties meets forties art deco setting.